The Kahnawake jurisdiction, headed by the Kahnawake Gaming Commission, is known to be one of the most popular online gambling jurisdictions in the industry. They were first established back in 1996, but their online regulations were first enacted until around the middle of 1999. It’s important to note that they also regulate three land-based gambling establishments. These are located in the Mohawk Territory of Kahnawake (in the area of Canada), so they have experience in both land-based and online regulatory issues. With that having been said, their specialty is obviously in the online arena. 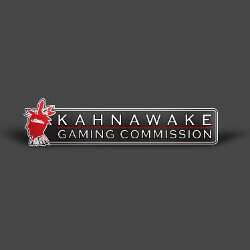 The Kahnawake Gaming Commission commands a lot of respect in the online gambling world because they have shown over and over again that they will pull licenses and/or punish licensees in various ways for breaking the rules of their licensing agreement. A good example of this came in 2009 when the Commission determined that now-defunct poker site Ultimate Bet had software-based cheating (through “superusers”) on its site. They ordered the company to pay out around $22 million to players, and they also imposed an additional fine of $1.5 million. This is considered one of, if not the single, largest fines ever imposed by an online gambling regulatory body in the history of the industry. There are four different types of online licenses that can be awarded by the Kahnawake Gaming Commission. These are the interactive gaming license, the client provider authorization, the secondary client provider authorization, and the key person license. There are fees of $25,000 for each type of license, though the fourth type for a key person license is just $5,000 since there are often multiples of these filed at the same time. If an application is denied, these fees are refunded. The Kahnawake jurisdiction is one of the regulatory jurisdictions for online gambling that works with others the most. They have deals with several of the most prominent regulatory bodies out there that allow them to have inter-jurisdictional licenses and all kinds of other agreements that work towards establishing international standards for online gambling sites. Standards like these are hard to come by, but their deals with entities like the Gaming Authority of Malta are making them come closer to being a reality. Overall, they’re a very solid jurisdiction, and players should feel peace of mind when they find they’re playing with a site licensed here.